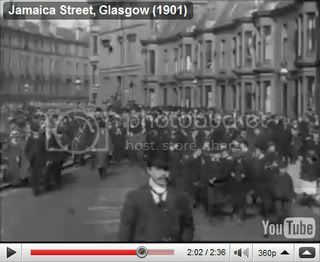 Jamaica Street 1901 - what's there now where the row of houses are shown at the end of the film? Reams of figures have been published showing the scale of Glasgow’s ills but still the question remains: why are the citizens so unhealthy? Simple. Going out without headwear. and another reason? This might be the streets of London but it could have been Glasgow or anywhere when I was a wee lassie. btw the Jamaica St one makes me sad and I don't really know why maybe it's because most of the people are making contact with the camera the wee boys nudging each other and laughing - all long gone. Power of the camera! Is this where the houses were? Also at 1.36 - looks like corner of Hope Street and Waterloo?? and what were the people looking at or doing in the background? Looks like the guys were just having a wee keek over the bridge at the river. Great film. The Jamaica Street one is brilliant. Where, though, are all those people going? What was on the South Side that so many people, and apparently rather well to do at that, were heading to? Great short piece, Jamaica Street. I noticed the hats too. Everyone, and in 1926 too. What happened? 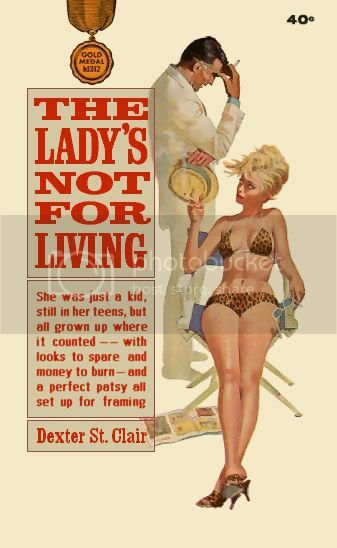 I suppose all the hatters went mad and health and safety put them out of business. Did boats/ferries leave from the South side of the Clyde in those days? I suspect the well to do ones were heading down to various offices/merchants on the Clyde on both sides. Jamaica Street was the main artery from the city centre to the Clyde. It's like time travel watching all the bustle in 1901 fast forward to the 60's and the same street held only for me the memory of being fitted for my school uniform in Paisley's. Now the street is like a wilderness, McDonald's, concrete car park - zilch character. Did you notice the woman hiding her face from the camera? I wonder if she was Comanche. GlasgowKen posted this wee BFI-related clip a while ago on this thread. Bridie, there is a cart driver picking his nose and examining the result on his finger at 1:45. Pure Magic Bridie, I want a time machine. cumbo wrote: Pure Magic Bridie, I want a time machine. It almost is looking through the lens. Thing is too the majority of them would be dead from WW1 and the flu epidemic which followed afterwards. Josef wrote: GlasgowKen posted this wee BFI-related clip a while ago on this thread. Thanks Josef another great one too. I was taken down to Sauchiehall Street on the last few days of the tram to have one last hurly.